SINCE: 2005. Acquired by Horny Toad Activewear in 2008. WHY WE COSIGN: Think of Nau as the tree-hugging child of Patagonia and Nike. Not only does this technical and fitness outdoor brand make environmentally friendly apparel but it gives back to the community through the Partners for Change program. Two percent of each sale goes to organizations working for positive change. 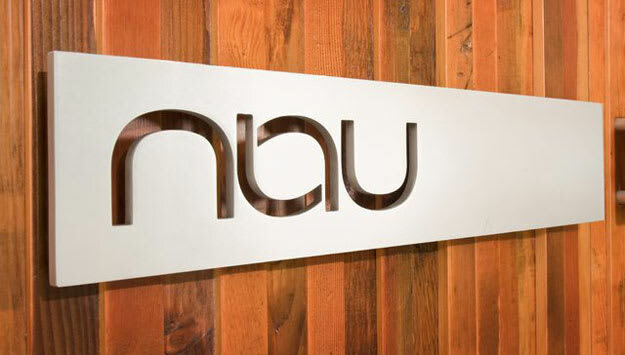 Explain how Nau is eco-friendly and the steps the company has taken to achieve that. We take an extraordinarily considered approach to product design and development. We&apos;re not satisfied to just buy a roll of "sustainable" fabric and make a garment in the same old way. It&apos;s an exhaustive process, and we often don&apos;t meet all our goals entirely, especially in regards to environmental sustainability. We are far from being able to call ourselves a "sustainable" company, but it&apos;s certainly something toward which we strive. We document our journey in the Grey Matters section of our website, so named because the path to sustainability is not always laid out in black and white. Nau also believes strongly in the importance of philanthropy, so we incorporated it into our business model. Customers direct 2% of each online sale to one of our five Partners for Change. Through our Partners for Change program we provide financial support to community partner organizations working to create lasting, positive solutions to some of our societies&apos; and planet&apos;s most compelling environmental, social and humanitarian problems. The buzzword "green" might have a short lifespan, but the movement itself is really just getting started. Our planet is running out of resources, and the current path of production and consumption is not sustainable. As our society uses more renewable energy, environmentally friendly materials and efficient energy, what some people say is now trendy and "green" will be a part of life. It won&apos;t be long before being "green" is the norm, and not the exception. Asking the question, "What is the true cost of low cost?" is as important as looking at the price tag to determine the true value of an item. Consumers understand the elements that create value. If something has a low value, it&apos;s probably outsourced, disposable, and cheap. If it has a high true value, it will be longer lasting, durable, and have a smaller impact on the environment. Eco-friendly materials often have a high true value, which means more can actually mean less. Basic economies of scale are a great driver in the price of most eco-friendly materials. The cost of building a new and complex supply chain infrastructure for these materials is also significant. When consumers start demanding more environmentally friendly materials in the products they buy, more companies will invest in the materials and the costs will come down. What pieces in the Nau collection are the most popular? What different materials do you use? Our most popular items in the spring collection are the Men&apos;s Lightbeam shirt and the Men&apos;s Prone Polo, a lightweight, soft, breathable organic cotton knit polo. The Lightbeam shirt is made of the same lightweight and soft 100%-recycled polyester fabric, and can be recycled at the end of its useful life. The fabric is water-resistant and extremely breathable and quick to dry. What "green" collaborations are planned in the future between your company and other eco-minded companies? We&apos;ve collaborated with several like-minded companies over the last few years. Like us, they believe that sharing information and coming up with "best practices" is beneficial for everyone and allows us to collectively have a broader impact on industry business practices. Nau is currently a part of the Outdoor Industry Association&apos;s Eco Working Group that is designing a sustainable product index. On the product materials side, we work closely with Teijin to produce cutting-edge recycled polyester fabrics. We work with Zque who supplies us with traceable wool, and Organic Exchange who supplies us with our organic cotton. In addition, we have an "open source" policy. We have no reason to keep our suppliers a secret and we&apos;re happy to share our sources with companies who ask for them. This is best for the environment, and will eventually help bring down the cost of the materials. How do you plan on staying "green" moving forward? Nau exists because the things that make us "green" are woven into every aspect of our business. Being green really isn&apos;t a choice for us. There are a few guidelines in place that will long outlast any single person here at Nau. They are the Code of Conduct, Rules of Corporate Responsibility, and the Ideal Product Criteria. Our Code of Conduct is how we ensure we&apos;re providing a safe, healthy place for everyone we do business with. It outlines our compliance requirements and covers things such as child labor, hours of work, nondiscrimination, and compensation. We also have what we call our Rules of Corporate Responsibility—or, in laypersons terms, our Rules To Live By. These rules outline our commitment to social and environmental responsibility, our 2-percent philanthropic practice, fair wages, minimum and maximum compensation, equal benefits for our employees and product creation practices. Lastly, our Ideal Product Criteria outlines our sustainability requirements that we apply to every garment we make. It covers product design, materials, production processes, distribution, product maintenance, and end of life.